You still don’t know the right method on how to use Google Keyword Planner (free) to research keywords so that they can rank them on top of SERP’s? Keyword Research is most under-looked part in online strategy when took in to action for rookies. Most people apply these 3 points mentioned below when they start to do Keyword Research as per Brian Dean from Backlinko. They search for broad term like “Digital Marketing” in my case in free tool like Google Keyword Traffic Tool which is first choice for most budding internet marketers. They look for low competition, high search range of keywords with high CPC rate. Then select a keyword based on inside feeling and start writing content around in order to rank it on search engines. These are some; 1 step ahead people those who bought a Paid Keyword research tool already and look for keyword ideas and thank those tools to find close to exact search volume. Still, what do you think; is this the right process of Google Keyword Ranking & Research and strategy for ranking on top of Google searches? 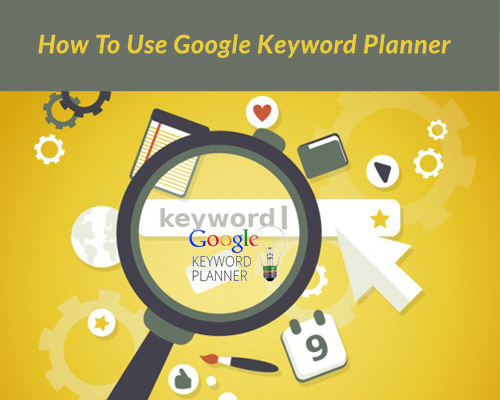 You are going to read an awesome never before guide on how to use google keyword planner tool that covers all the aspects which can save your money to purchase any premium tool. Let’s dive deeper to know the right process behind keyword research below. Let’s search Google Keyword Ranking with a broad keyword like “Learn Digital marketing” in Google Keyword Planner free tool. Once you reach the screen of Keyword planner tool inside Google AdWords account using first option you can search “learn digital marketing” as a broad keyword. Herein below mentioned screen you can see the results are totally based on exact phrase we used in our keyword search term however you may find relative keyword but from different set of words which may consists of high number of searches and with low competition level too. Here Google keyword planner tool fails to deliver results and based on the study more than 70% of Google searches users do; consists of long tail keywords (4 or more than 4 words). Thanks to Voice search enabled smartphones now! Generally long tail keywords are considered good if they have more than 500+ monthly searches, low competition level and high CPC rates (if using Ads) but these are gems to find and it’s hard to find such keywords literally but not impossible. It is also not recommended to use only long tail keywords to rank your brand because in short span of time Google will find out and it may penalize your domain. Also you have to write hundreds of posts to rank for long tail keywords especially to get enough search traffic. The best strategy could be to use few focus keywords (Short Tails) as main keywords and more long tail keywords that should be interconnected as a web of keywords for overall strategy. Keyword Research somehow also known as market research in this era of online business due to high targeting parameters we get for Google Keyword Trends. Understanding what your end user is interested in is the most crucial part of your Keyword Research strategy. You need to understand the exact words your customer is using in their questions and the possible best answer. Few sources I personally love to get keyword niche ideas online. Latent Semantic Indexing (LSI) keywords: Let’s search again the term “learn digital marketing” on Google directly. On the search page at the bottom you can see some keywords suggestions in the image below. Sometimes these search terms are the best gems for your keyword strategy and you can get keyword niche ideas. You can see many of the search terms are closely related to your main phrase you searched on Google but different in words used. This could be your first starting point. Facebook Groups: I personally love Facebook groups to search keyword niche ideas that are best to target upon and get a quality starting point for your SEO campaign. You can closely see some questions asked by users and the words they used to explain their question in some most active Facebook groups. You can rephrase the words used in the question and can search via Google keyword planner tool for general range of average monthly searches. There is a sneaky trick I will tell you later in this guide to exploit Google keyword planner tool that will help you to find closest search range and commercial value of your keywords. Quora: It is my first love for this category. Inside Quora, you have to create an account first then after go ahead and search for a long tail keyword related to your main focus keyword. You can try some related keyword based phrases as well and you will start to see real questions which were already asked by users related to the keywords you are looking for. Rephrase words used in the questions and you can search inside Google keyword planner tool to get an overview. Reddit: It is also an awesome question answer website where real customers hang out and and you can find great keyword niches you can rely upon. Inside Reddit, you will have main categories and then subcategories also termed as sub-reddit. When you will search for a specific term or broad keywords you will get sub-reddit which are communities actually with active users. Sometimes Subreddit names; itself gives awesome keyword niche ideas. Collect words, rephrase them and copy paste in Google Keyword Planner tool for a quick value. Google Trends: Head on to www.google.com/trends and you can search for any specific search term and google will show you how popular that specific keyword is based on 1-1000 scale of least to highest popular. Definitely, you can target country, industry etc to get specific results. In order to understand How to use Google Keyword Planner tool, the first need is to understand buyer’s intent. The Biggest drawback people find in this tool is Expected broad search range or a keyword every month and it may possible that you may get wrong with your strategy too due to wrong projections this tool provide at front. Keyword Planner tool show ranges like 1000-10000 for average number of monthly searches and it may possible that if we are searching for a seasonal keyword like “Christmas Wishes” which normally have 40000 searches in December and in January it drops to 100 only but you’ll see a range of 10000-100000 searches every month which is too broad to target and it’s not giving any ideas that can help make decision of choosing that keyword for targeting purpose. We simply head on to paid tools for this issue and pay thousands to use every month. I will tell you in this guide, how to use Google keyword planner tool with a small hack to search best possible range of keywords every month. Well first learn how to use Keyword Planner Tool free for you by Google. If you don’t know how to access keyword planner you can go to adwords.google.com and under tools menu you will find “keyword planner”. Once you reach Keyword Planner Screen, you’ll see their search criteria. Let’s discuss 1 by 1 each. Search for new keywords using a phrase, website or category: This is the first starting point of keyword research if you have no ideas on what to search or you have a countable keyword niche ideas grabbed from any sources above. Get Search Volume Data per trends: If you already prepared a good list of Keywords, you can paste the list as 1 keyword per line or you can also separate them by comma and can see bulk results. Multiply Keyword search Lists to get New Keywords: Suppose you searched allot and found some keywords however still not getting good keywords that has high specifications then you can add two separate list of keywords and this option will multiply the keywords to form new keywords. Sometimes this helps great in finding a hidden keyword that your competitors didn’t think of even. Targeting Options: These are some important things to take care in start only, like location you want Keyword search ideas for. Language, Search engines you want you want to include for finding quality matches. Data Range you want your search to be held in specific period of time, like i said earlier for seasonal keywords where you may want to check data for 1 month only. Pay around and get awesome results. Negative Keywords: This is most undervalued but can give drastic experience to your end users if not targeted correctly. In a recent update on Twitter, people trolled Mc Donalds Brand, when people searched for “Dog Food” on google and First paid result was of their Burger. You should assign negative keywords to exclude as well when running paid campaigns or searching for a specific keyword which is highly targeted to a specific audience type else it can end up in a disaster. I personally use First and second option generally to search for keyword ideas. Once you’ll search for any broad keyword for example “Digital Marketing” with first search bar available, the results will be delivered based on the specific term you used and also metrics are too broad too. This can’t help you to get the best keyword here. There are two tabs on Screen as Ad Group Ideas, Keyword Ideas. If you’ll switch to Ad Group Ideas, you can choose any group and see what it covers. Its an ignored tab by most people however sometimes, you may find a great keyword that can rank you on top with high number of monthly searches. Nobody knows where your treasure keyword is hidden. We always ignore free Google keyword traffic tool because it provides broad range for searches and low grade google keyword ranking options. Online marketers simply move towards paid keyword search tools but if we do simple math and a bit of reverse engineering; we can get premium results from Google keyword planner itself. Let’s jump onto the trick now. Let’s search again with first option in keyword planner screen. Try keyword “learn digital marketing” once again. Here the broad keyword we searched shows a range of 1,000 to 10,000 searches per month which is not useful based on metrics. In the list below, suppose we have selected “Digital Marketing Training” as the keyword to focus for our SEO strategy and we want the trustworthy stats to decide upon this keyword. Click on the Next Arrow and add this keyword to Plan. Then click on Review Plan Button. Insert some high bid amount like INR 500 per bid and INR 15000 per day budget. That way google will think that you are going to bid every related keyword you searched. Now you’ll see a daily forecast data as per screen below, once you hover on to curve, you’ll see Impressions as 1962 daily and Clicks as 81.68 approximately. If you’ll multiply these numbers with 30 because present data is for daily. You’ll get a reliable statistics as 58860 impressions in a month and 2450.4 clicks per month. Now you have a reliable data to project your SEO strategy and scale it to the heights you want. Right? Most Expert Digital Marketers do like that. I will not deny that Paid tools like SEMrush are better due to high quality, variation, specific keyword search results in least possible time. If you are a early marketer and not getting Free Search Traffic, you should try this sneaky trick to search better keywords. 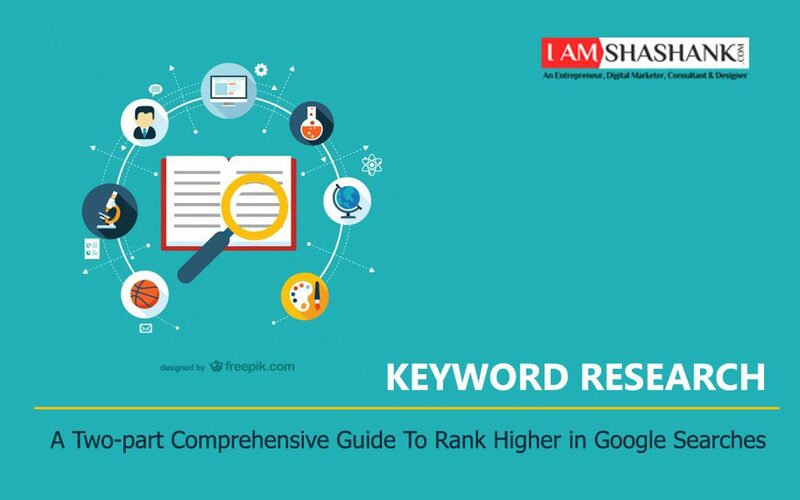 Now let’s head on to Part 2 of this Guide which covers Commercial Value of Keywords, Best Google Keyword Traffic Tools in market and How to out-rank your competitor using Keyword strategy. Part 2 is in Production for the best of ideas and also to answer some specific questions like I am choosing a High CPC Keyword but my Adsense earning is low. These will also be answered in next part of this guide as well as what it takes to knock off your competitors from top Google searches. On what niche you used this Sneaky trick on? Tell me in comments below.